• Market Characteristics – The market characteristics section of the report defines and explains the printing inks market. This chapter includes different goods and services covered in the report, basic definitions and market supply chain analysis. • Trends And Strategies – This chapter includes some of the major trends shaping the global printing inks market by segment. This section highlights likely future developments in the market and suggests approaches companies can take to exploit these opportunities. • PESTEL Analysis – This chapter includes analysis covering the political, economic, social, technological, environmental and legal factors affecting the global printing inks market. 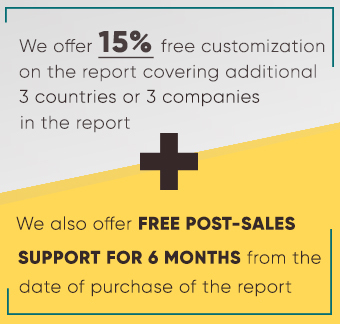 • Customer Information – This chapters covers recent customer and service providers’ survey findings in the global printing inks market. • Global Market Segmentation – This section contains global segmentation of the printing inks market for 2018. Segmentation types include by region and by country segmentation of the printing inks market. Segments of the market are also by types of formulation, product and end use industries. • Global Macro Comparison – The global printing inks market comparison with macro-economic factors gives the printing inks market size, percentage of GDP, and average printing inks market expenditure. • Macro Comparison By Country – The printing inks market comparison with macro-economic factors across countries gives the printing inks market size, percentage of GDP, by country and per capita average printing inks expenditure. • Competitive Landscape – This section covers details on the competitive landscape of the global printing inks market, market shares and company profiles for the large players such as DIC Corporation, Flint Group, Toyo Ink S.C. Holdings, Sakata Inx and Siegwerk Druckfarben AG & Co. KGaA. • Market Background – This section describes the chemicals market of which the printing inks market is a part. This chapter includes the global chemicals market 2014-18 and 2018-22 values, drivers and restraints of the chemicals market, and regional and country analyses for the chemicals market. The printing inks manufacturing market consists of the sales of printing and inkjet inks by entities (organizations, sole traders or partnerships) that produce printing and inkjet inks. The global market for printing inks reached a value of nearly $33.7 billion in 2018, having increased at a compound annual growth rate (CAGR) of 1.0% since 2014, and is expected to grow at a CAGR of 3.1% to nearly $38.1 billion by 2022. The market can be segmented by formulation type into oil-based printing inks, solvent-based printing inks, and water-based printing inks. Oil-based printing inks accounted for the largest share of the printing inks market in 2018 at 39.0%. The water-based printing inks market is expected to be the fastest-growing segment going forward at a CAGR of 4.0%. Western Europe is the largest market for printing inks companies, accounting for 35.4% of the global market. It is followed by North America, Asia-Pacific, Eastern Europe, and then the other regions. Going forward, Middle East and South America will be the fastest growing regions in this market, where growth will be at a CAGR of 10.9% and 5.1% respectively. This is followed by Africa and Asia Pacific, where the market is expected to grow at CAGRs of 4.8% and 4.0% respectively. The global chemicals market, of which the printing inks market is a segment, reached a value of nearly 3,375.8 billion in 2018, having grown at 1.0% since 2014, and is expected to grow at a compound annual growth rate (CAGR) of 5.9% to nearly $4,241.6 billion by 2022. The printing inks market was the smallest segment in the global chemicals market in 2018. The printing inks market accounted for 1.0% of the chemicals market. The ethyl alcohol and other basic organic chemical market is the largest segment of the chemicals market, accounting for 26.5% of the chemicals market, worth $893.8 billion globally and has grown at a CAGR of 0.8% during the historic period. It is expected to grow at a CAGR of 4.6% during the forecast period. Companies Mentioned - DIC Corporation, Flint Group, Toyo Ink S.C. Holdings, Sakata Inx and Siegwerk Druckfarben AG & Co. KGaA.